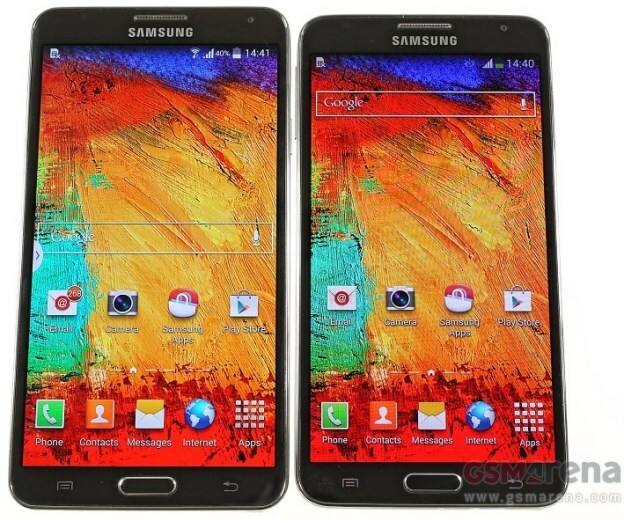 Samsung Galaxy Note 3 Neo and Note 3 Neo LTE+ got officially unveiled by Samsung Poland. Note 3 Neo is Samsung's trimmed down version of the flagship Galaxy Note 3. It has a 5.5-inch super AMOLED display with a reduced resolution of 1280 x 720 pixels. It provides the well-known S Pen experience at a lower price tag. Samsung basically repackaged the Galaxy Note II, threw in some new features and renamed the device as a "lite" version of the Galaxy Note 3. Compared to the original Galaxy Note 3, both smartphones have pretty much the same weight, thickness and battery capacity, but the Neo is slightly shorter in length and width. Design-wise, the new smartphone is almost a complete match of the original Note 3, complete with the faux-leather plastic back. The LTE+ Note 3 Neo model uses a hexa-core setup with a dual-core 1.7GHz ARM Cortex-A15 unit on top of a 1,3GHz quad-core Cortex-A7. The regular variant, which supports HSPA+ 3G, has a 1.6GHz quad-core Cortex-A7 configuration. Chipset differences aside, the two versions of the Samsung Galaxy Note 3 Neo both feature a 5.5” 720p Super AMOLED display, 2GB of RAM, 16GB of built-in memory (about 11GB will be available to the user), and a microSD card slot. The main camera is an 8MP unit with BSI sensor, capable of capturing 1080p videos. A 2MP front-facing unit will be in charge of video calls and selfies. 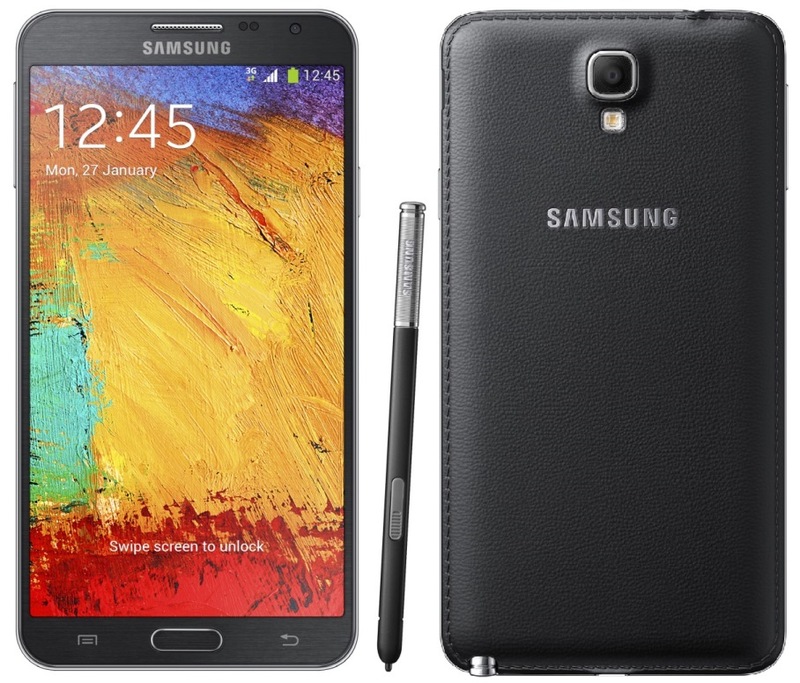 The Samsung Galaxy Note 3 Neo will with Android 4.3 Jelly Bean and TouchWiz on the top of that. Design wise you can pick up the handset in black, white or green. Apart from this it has the usual raft of connectivity options, including Wi-Fi and Bluetooth, as well as NFC. Android 4.3 Jelly Bean runs the show with TouchWiz on top. It measures 148.4 x 77.4 x 8.6mm, while its weight tips the scale at 162.5 grams. The phablet is powered by a 3100mAh battery. The phone is expected to be available in International markets from March 2014 onwards. Samsung’s Galaxy Note 3 Neo LTE+ edition is priced at €530 ($720) whilst the quad-core HSPA+ edition is listed for €499.00 ($680) in Germany at this moment. These prices are for unlocked handsets but there’s currently no detail on when the handsets will ship. I have to say that the price is not too attractive when Amazon US is selling original Samsung Galaxy Note 3 just for $675 ; that is unlocked, LTE, 32GB, 1080p display and 4K video capable device.